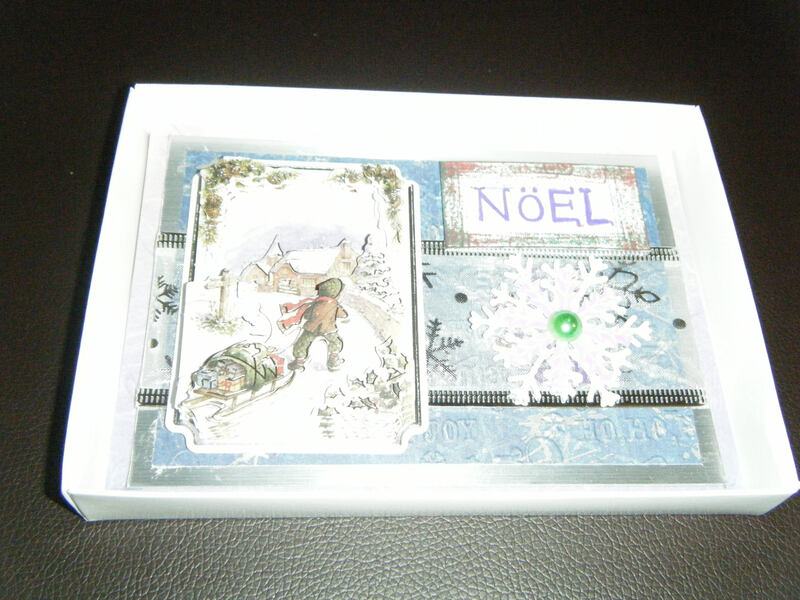 Handmade Decoupage Christmas Card In Box. Various Backing Paper Die Cut Snowflakes Green Gem Ribbon. Decoupage Design Is Little Boy Pulling A Sleigh. Card Size Is 16 x 11cm. Postage Is Tracked And Signed For.